Chances are you've looked at the work of Jonathan Hoefler and Tobias Frere-Jones at least one time today. The type designers are behind many of the world's most-loved fonts, like Gotham, made famous by Obama's 2008 campaign. But according to a nasty legal document making the rounds today, the duo has parted ways. As the type foundry Hoefler & Frere-Jones, the two type designers have appeared to have a harmonious and fruitful partnership. For over a decade they were given top industry awards and granted prestigious commissions, all the while earning profitable sales from their growing family of typefaces. Yet all was not well, according to Frere-Jones's allegations. In the suit, Frere-Jones alleges that Hoefler persuaded him to leave his job at the Font Bureau in Boston, move to New York, and join Hoefler at his firm Hoefler Type Foundry (HTF) in 1999, bringing some of Frere-Jones's famous typefaces like Whitney, with him to the partnership. (This partnership offer? It happened at the restaurant named… Gotham.) The document asserts that the duo gained international fame and recognition when they teamed up, yet Frere-Jones alleges that Hoefler never officially turned over the 50 percent ownership of the company, and thus he claims Hoefler owes him at least $20 million, as QZ reported yesterday. The entire suit is now online in a document [PDF] (which the site Other Means has cleverly set in Gotham so as not to offend designers' eyes). Hoefler responded with a statement today (set in Mercury), that the allegations are false and the firm will now be known as Hoefler & Co. But there's also a gray area when it comes to the origin or creator of many typefaces, some of which are based on historical letterforms but have been "redrawn" or "modernized" by contemporary type designers. The contemporary foundry that licenses the typeface ends up making the money, and strikes a deal with the type designer—or sometimes, like in the case of the Eames typeface by House Industries, the Eames estate—for usage. So the process of splitting up a type foundry is exceptionally complicated. Will they divide up the typefaces between two new foundries depending on who "created" them? Will the typefaces originally and independently designed by Frere-Jones before joining Hoefler go back to his own foundry? Unfortunately there are other recent developments that make it even more complex. While this seems like a typical creative firm battle made public—design partners break up all the time, although their legal documents are probably not as colorful as this one—the difference here is that last year the Hoefler & Frere-Jones foundry released Cloud Typography, one of the most groundbreaking new type tools for web designers, which seamlessly and intuitively integrates H&F-J typefaces into websites. Instead of paying for each typeface individually, designers pay $99/year for the use of five fonts like Sentinel, Tungsten, and Archer (with the option to buy more). In the Spring of 2012, Hoefler told Frere-Jones that he would complete their deal as soon as HTF launched a new product, an online font delivery service geared towards web designers called cloud.typography.com (The "Cloud"). On the day the Cloud was launched, Frere-Jones asked Hoefler to set a date to conclude their deal as Hoefler had promised, which Hoefler scheduled for July 31, 2013. On July 31, 2013, Frere-Jones followed up with Hoefler, and Hoefler responded to Frere-Jones, "Stop it. I'm working on it. 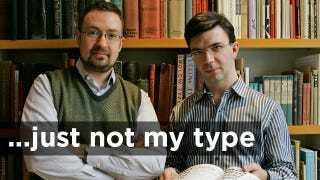 Stop harassing me," Hoefler allegedly wrote to Frere-Jones last summer. On October 21, 2013, for the first time, Hoefler explicitly reneged on his personal agreement to transfer 50% of HTF to Frere-Jones. If these allegations are true, it would appear that Hoefler has made a brilliant move. By making sure that Cloud Typography was launched under his own company, Hoefler has seemingly insulated himself from any intellectual property or copyright battles about who owns particular typefaces. And he's set himself up for success in the future. These type of "library subscriptions" for both creative software and web fonts are becoming more popular; with Adobe recently including Typekit's web font program, for example. I see this driving out small, indie type foundries who will be absorbed by these subscription services. But it also means the rules are changing when it comes to the way type designers are compensated when their typefaces are used in these "bundles."